Well what do you know!? 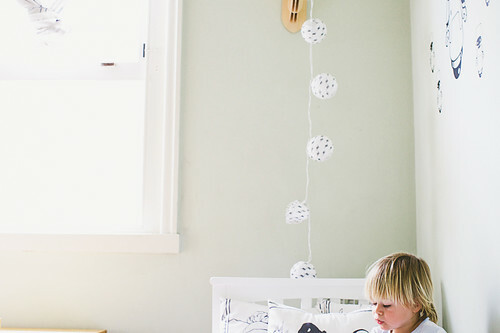 I'm posting children's rooms on decor8! ha ha! It's a big deal for me to do this and if you blink you'll miss them but it's fun to go off the beaten track now and then and show something new. 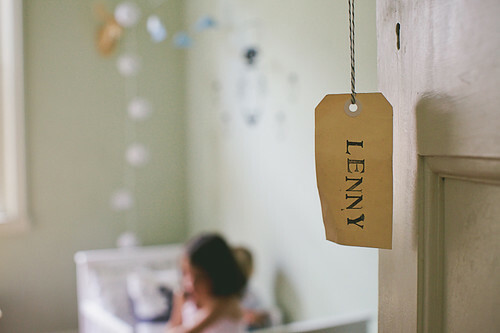 We tend to post things on our blogs that we feel attached to in one way or another and while I love children I think not having any does make me less inclined to think about their room design. Perhaps that will change in the future! 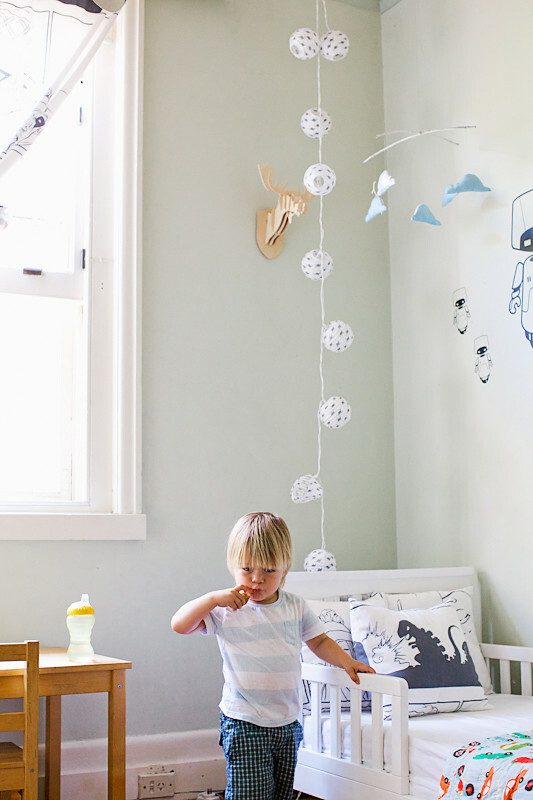 After posting the sweet pink girl's room, Australian interiors and lifestyle photographer Tara Pearce sent in some great photos of a little boy's room in cool mint that she asked me to consider posting. 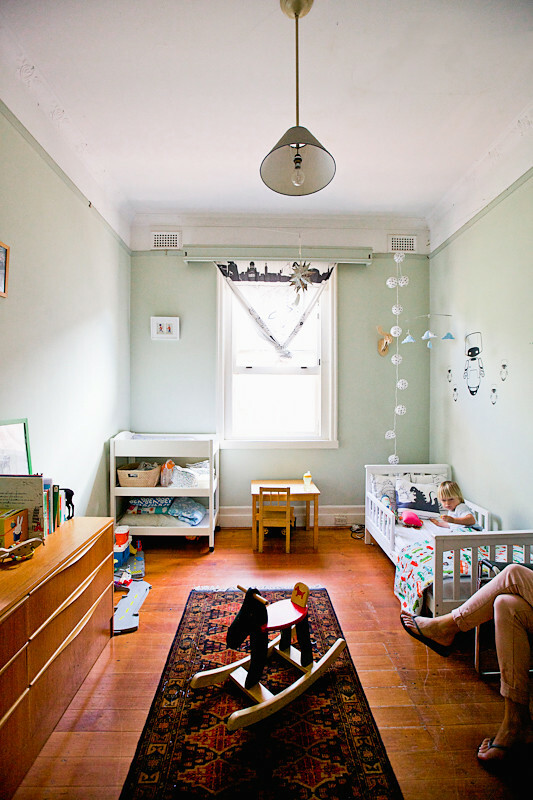 A mint green boy's room? Oh yes please! 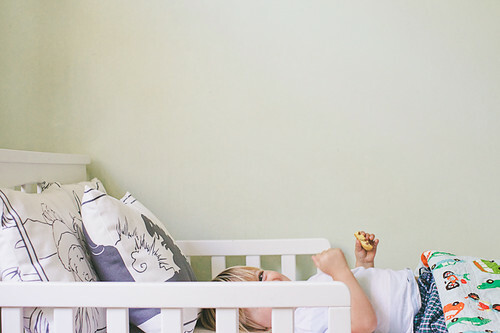 Lenny is two-years-old and loves his new IKEA bed and minty green walls. 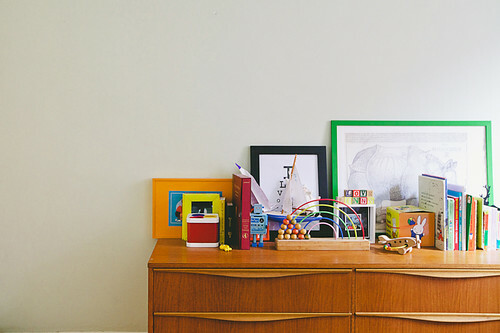 His room has many vintage and handmade pieces and his little creative zone made me smile so I have to share it... Plus I can't show a girl's room and skip the little guys!